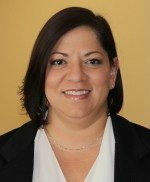 As the development coordinator for The Florida Bar Foundation, Michelle Fonseca serves as a member of the resource development team, providing administrative support to the department. She assists with marketing, donor recognition, retention and recruitment for annual, major and planned giving, the Fellows program, the campaign for Children’s Legal Services, and the Kids Deserve Justice Specialty License Plate. Prior to joining the Foundation in 2010, Michelle served as an administrative and member services associate at the Florida Philanthropic Network, which works to strengthen philanthropy through research, education and public policy. She also worked as a marketing coordinator at Easter Seals of South Florida, where she developed and designed promotional material, planned and developed special events and fundraisers, and functioned as the contact, coordinator and supervisor for special events community volunteers.